Iron steam distilled dark patchouli essential oil from India. Species: Pogostemon cablin benth. Family: Lamiaceae. Class: Sesquiterpenol. CAS: 8014-09-3. Aeracuras's select dark patchouli essential oil is the best in the world today. 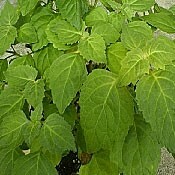 This is Aeracuras' reserve patchouli.